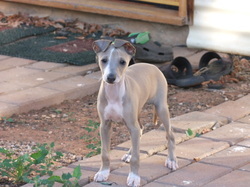 Ziggy is developing into a stunning looking boy, with a fabulous outgoing temperament. He has great bone and is a solid pup, with a lovely flowing movement. Ziggy has great potential and I cant wait to see him as he matures. 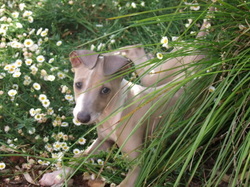 Always the standout pup of the litter, Ziggy continues to impress me with his easy going nature and fabulous good looks. 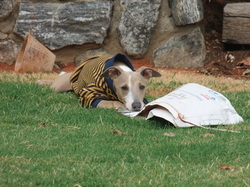 I look forward to his contribution as a future stud dog here at Karindi.